The final defendant in the court case stemming from the 2016 armed occupation of Oregon’s Malheur National Wildlife Refuge is set to be sentenced this June in Portland. Blaine Cooper of Arizona, who recruited militia members to join the takeover, pleaded guilty to conspiracy to impede federal officers in July 2016. Since then, 25 people have been acquitted, convicted or had their case dismissed for their parts in the refuge occupation. The 26-person indictment came after Ammon and Ryan Bundy, sons of Nevada rancher Cliven Bundy, led a group of people to take over U.S. Fish and Wildlife buildings at the refuge near Burns, Oregon, demanding the lands be handed over to local control. The Bundys described the action as a stand against federal tyranny and government mismanagement of natural resources. Dozens of people from across the country joined the occupation, which lasted 41 days. It ended on Feb. 11, 2016, when FBI agents forced the final four protesters to surrender. The occupation stemmed from the jailing of two local ranchers, Dwight and Steven Hammond, who had previously been convicted of arson on federal land. The ranchers had been in a long-standing dispute with the Bureau of Land Management over grazing rights. Inspired by the Hammonds’ plight, Ammon Bundy helped rally hundreds of people to march through the town of Burns in protest of a renewed jail sentence. 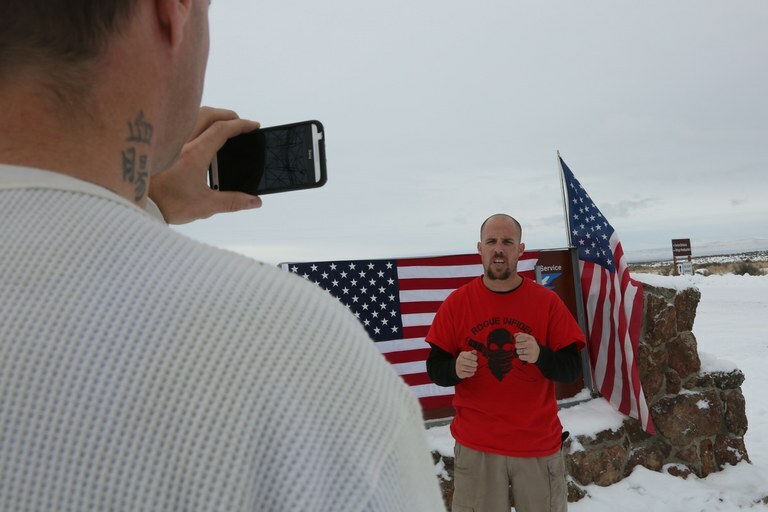 Directly following the march, Bundy announced he was moving the protest to the nearby wildlife refuge, to “take a hard stand.” While most protesters took their leave at that point, a small group followed Bundy to the refuge. The occupation elicited harsh criticism from members of the Burns Paiute Tribe, whose ancestral lands include the refuge, other locals who disagreed with the Bundys’ armed tactics, and public lands advocates across the country. In October 2016, jurors acquitted Ammon and Ryan Bundy, alongside five others, of charges ranging from conspiracy to possession of firearms in federal facilities and depredation of government property. One juror told The Oregonian that the prosecutors failed to prove conspiracy, the charge on which the others hinged. Once the jurors acquitted the defendants on conspiracy, the court’s instructions required them to acquit on firearms charges. Federal prosecutors honed their legal strategy and won convictions of four other occupiers in March 2017. Fourteen people have taken plea deals. One occupier, Pete Santilli, had charges dismissed in September 2016. Meanwhile, FBI agent Joseph Astarita is being prosecuted in Oregon for lying about his involvement in the January 2016 roadside stop of several occupiers, which ended in the death of LaVoy Finicum of Arizona. Astarita has pleaded not guilty to obstruction of justice and making a false statement. Federal prosecutors contend the agent lied about the incident by saying he did not fire shots at Finicum, when in fact he did. Astarita’s trial is set to begin in Portland July 24. ACQUITTED: Ammon Bundy, Ryan Bundy, Shawna Cox, David Fry, Jeff Banta, Neil Wampler and Kenneth Medenbach. Blaine Cooper: Pleaded guilty to conspiracy. Scheduled for sentencing in June and was already ordered to pay $7,000 to the Friends of Malheur National Wildlife Refuge. Note: This story has been updated to include additional information on restitution.